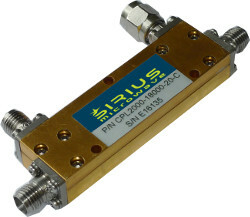 Sirius Microwave offers a variety of directional couplers from 1KHz to 18GHz. These couplers can be designed for any coupling value and frequency band. Some examples of coupler designs are listed in table below. Contact factory for custom models here.